Now that the holidays are over, its time to pack up your Christmas trees and mistletoe’s. With all the gifts and additions you and your family had receive during the season of giving, the ironic dilemma now stands of where to put additional items – meaning where to get an additional storage haven, in already cramped and filled closets and cupboards. Considering a rented storage is fine but surely, everyone could benefit with savings just right after the spending and buying season. What most of us fail to realise is that most houses has unused storage right under our noses or more like right over our heads. Make sure to asses your Attic space to know how much weight could be contained and make sure to check for needed repairs to make sure your stored memories and treasures will remain in good mint condition. Always remember to ensure that there are no roof leaks. The smallest roof leak will definitely damage even the greatest attic storage design. watch out for roof stains that are normally an indicator of rook leaks and have them fixed. A common mistake done by most renovators is forgetting to check for bathroom vent fans that terminate in the attic vent fans which remove excess moisture should deposit moisture outside the house, through the roof or wall. Much older roofs are made of rafters across the ridge to the walls. This framing style provides the most open space in an attic. Newer roof frames / trusses are factory made by joining lumber in a carefully engineered web. These trusses should not be cut gives you limited storage options. 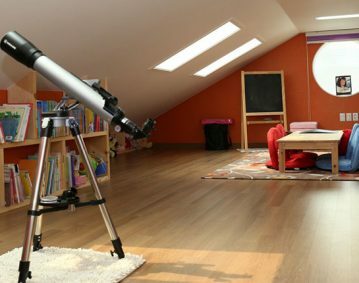 Using your attic on a regular basis to store large items will need a good attic access system. 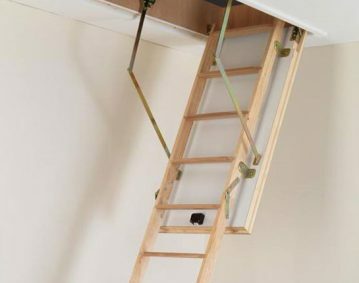 Make sure you choose sturdy and practical attic ladders that are easy to install and easily folds down for access, and back for quick storage. 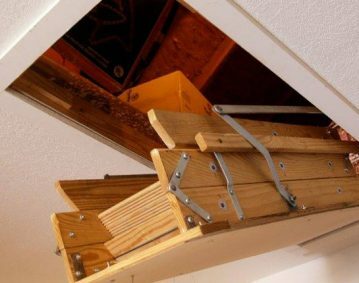 Attic ladders play a crucial role to having an easily accessible and safe attic space for you and your family. Make sure to use access ladders that comply to the Building Code of Australia and are Codemark certified. It is mostly tempting to envision more than just a storage haven for your new found additional square footage. Before getting your hopes up, consider that most building codes require that a finished space have a ceiling height of 7 ft and 6 inches over at least half of the available floor space. Most insulated houses have the attic outside of “thermal boundary,” or insulated space. Consider adding insulation to the walls and ceiling for when you plan to use your attic regularly use it for storing temperature sensitive items.